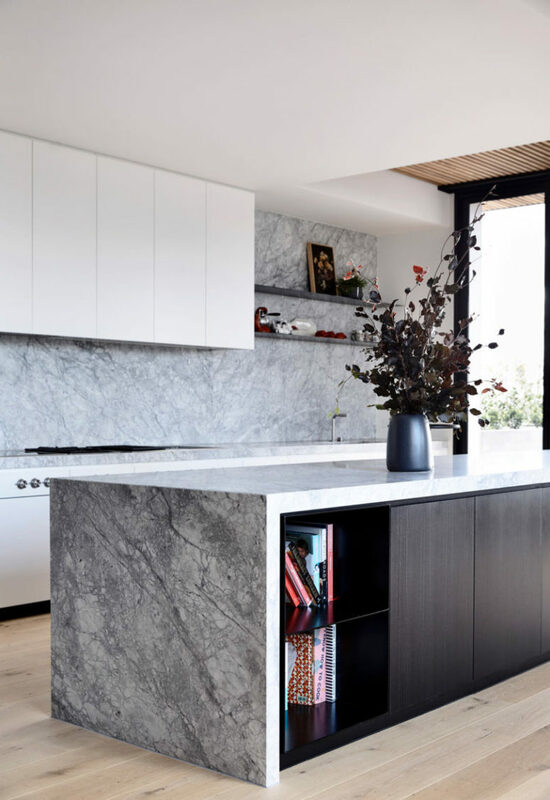 pentTom Robertson Architects created a modern home in the sky, named the Holly Penthouse, for a family of four living in the St Kilda Hill neighborhood of Melbourne. 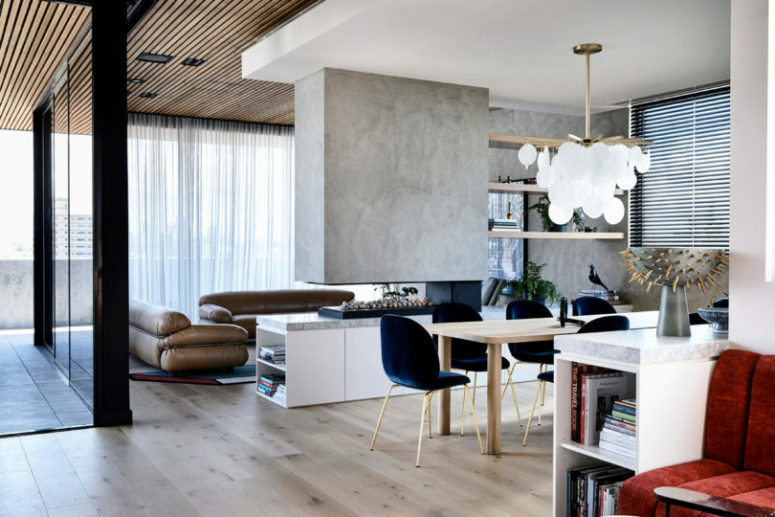 The 375-square-meter apartment rises high boasting sweeping views of the city through floor-to-ceiling windows, giving the interior an open, more expansive feeling. 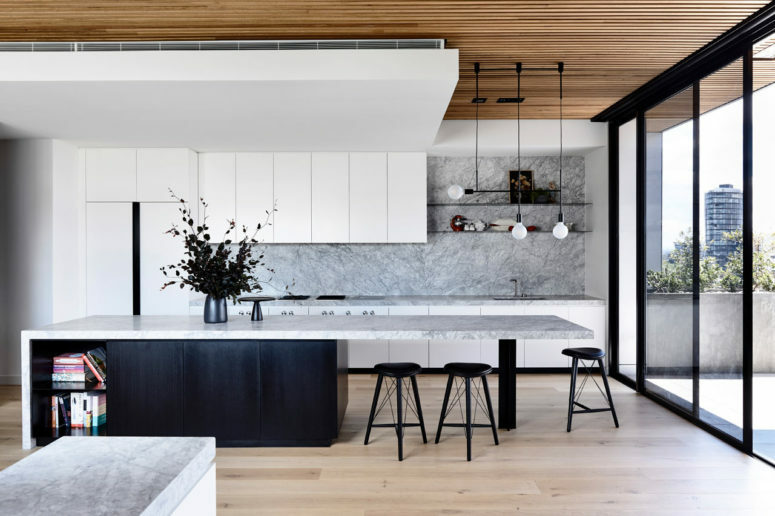 The kitchen features minimalist white cabinets and stone countertops with a matching backsplash, along with a massive island with dark cabinetry. 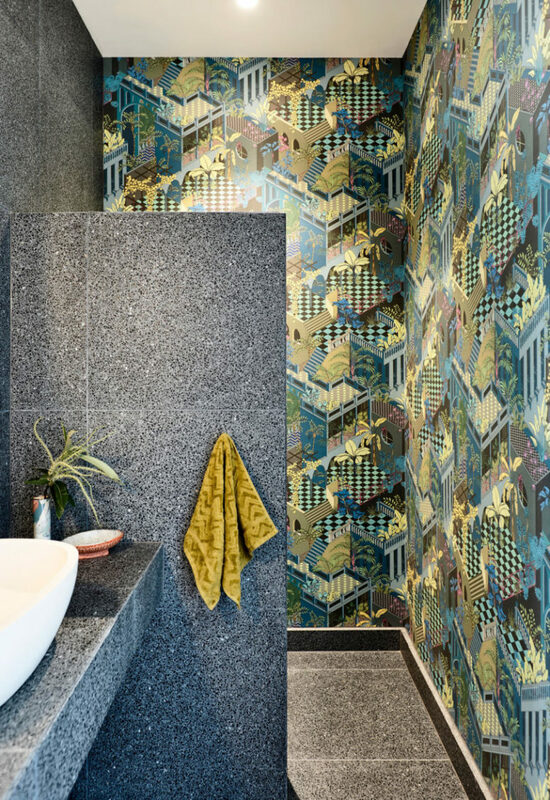 One wall is glazed and thanks to that the space is filled with natural light, which is a great thing. 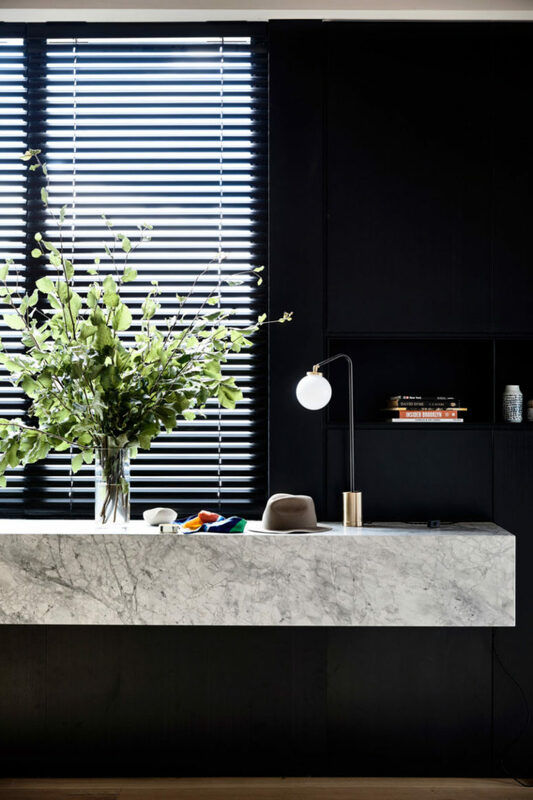 The living room is separated from the dining space with a concrete clad fireplace and shelves. 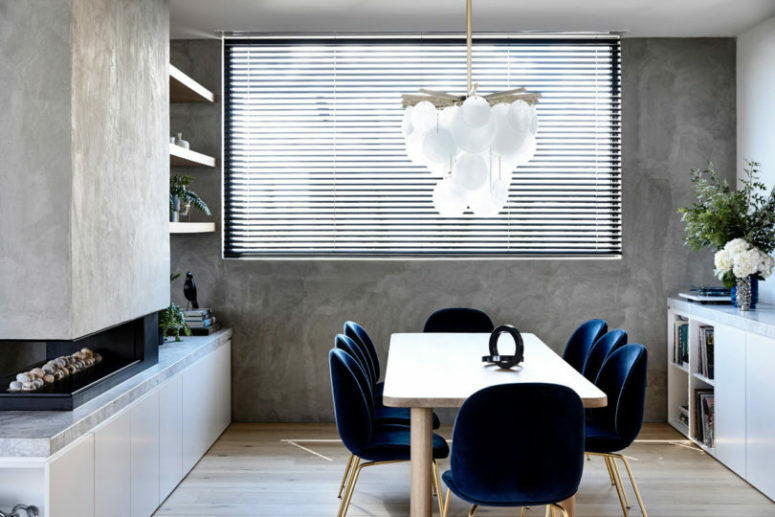 The dining space is done with navy chairs and a light-colored wooden table. The living room is done with comfy brown leather furniture. 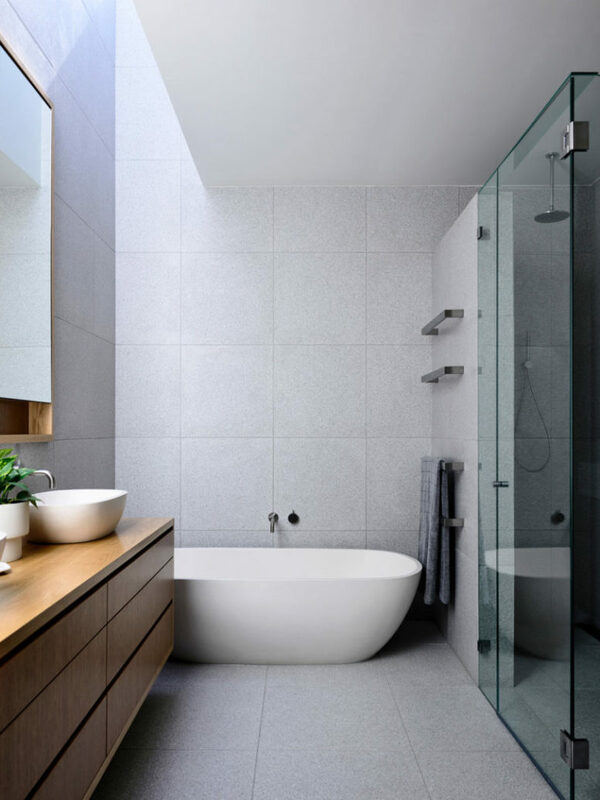 The bathroom is done with light grey stone-like tiles for a natural and relaxing look. 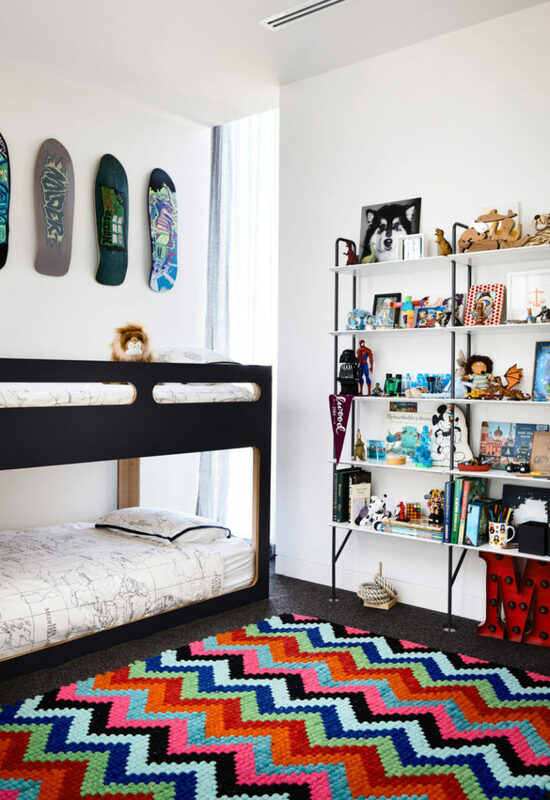 One kid’s space is done in pastels, there are two comfy beds, I bet it’s a girl’s room, and the second is a boy’s space with touches of black and skates on the wall. 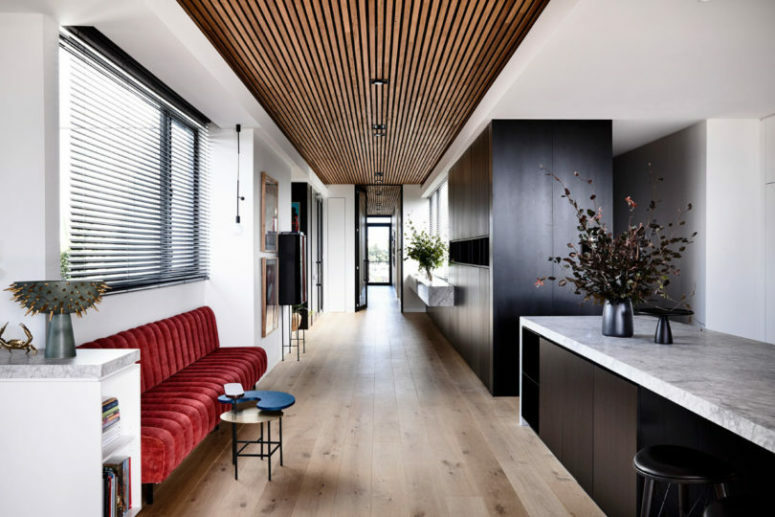 A range of natural materials bring warmth to the contemporary home, like the timber batten ceilings and oak floors. 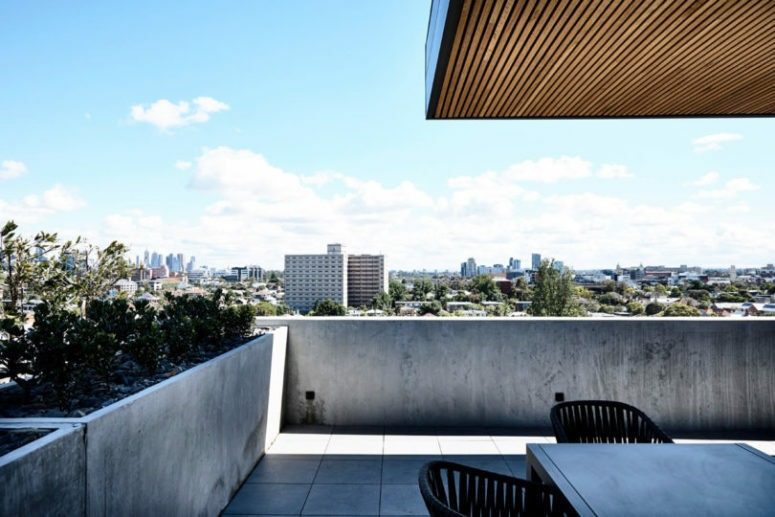 The apartment also includes a large outdoor patio space overlooking Melbourne done with tiles and concrete. There’s an outdoor dining space and a gorgeous view of the city.